Target’s collaboration with FEED USA is fashionable AND feel-good! Target churns out a designer collaboration every few months, it seems, so the announcement that they’d be launching a new collaboration wasn’t surprising. But their newest collection will satisfy your fashion appetite and make you feel good shopping it! The retailer has partnered with designer, humanitarian and FEED founder Lauren Bush Lauren on the FEED USA + Target collection. 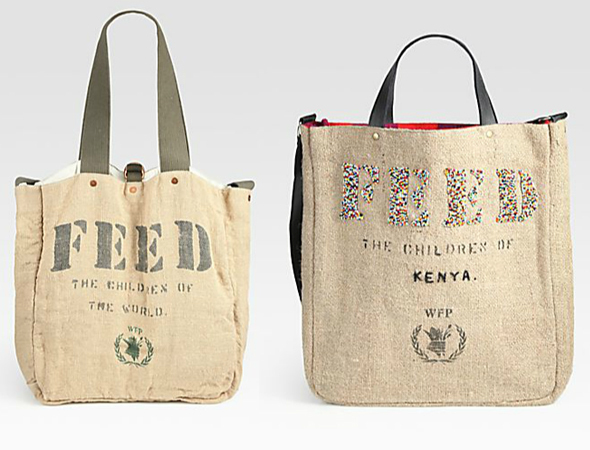 You may already know FEED from its signature burlap bags which, through the purchase of one, feeds one child in school for one year through the World Food Programme (WFP). Funds raised from FEED bag sales have already provided 60 million meals to children around the world. Now, FEED is going even bigger with a 50+ piece limited-edition collection which will benefit Feeding America, the leading domestic hunger-relief charity. Each item will display the number of meals donated to Feeding America from the purchase. Prices range from $3 to $400. The FEED USA + Target collection will be available in Target stores and online June 30.